The Australian Physiotherapy Association (APA) has declared August as Tradies National Health Month. Throughout August we are focusing on educating tradies on the importance of full body health & safety. All month, Sport & Spinal Physiotherapy will promote body health and safety tips for all of our clients, including our tradies. So in the spirit of all things ‘high-vis’ and hard hats, we will share with you our top 17 tips on safe lifting technique. 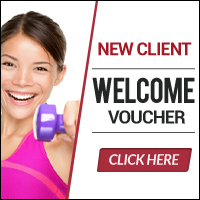 During the month of August, Sport & Spinal Physiotherapy are providing FREE lifting assessments for all clients – to determine the maximum weight you can safely lift. In Australia, approximately 10 tradies are badly injured at work every day. Nearly a quarter of all roofers, labourers and plumbers experience back pain from lifting injuries, trips, and falls when handling materials. These injuries often lead to extended time off work or the inability to successfully manage one’s own business. At Sport and Spinal Physiotherapy we commonly treat tradies for lower back injuries sustained at work from incorrect lifting technique. Physiotherapists can provide advice on correct lifting technique and appropriate exercises to prevent you from hurting your back whilst lifting. This is especially important in occupations where a lot of lifting occurs. Lifting is a part of everyday life for many individuals. Back injuries often occur during lifting and here are some tips to avoid injuring your back whilst lifting. Plan your lift. Ensure you have a clear passage of where you need to move the load. Remove any items that may get in the way or that may trip you over. Stand close to the object you are about to lift. Centre yourself over the object with your feet shoulder width apart and stand on a stable base. Break from the hips to squat down to the floor. Get a good grip on the object with both hands. Use your leg and buttock muscles to stand up, lifting the object off the ground. Remember to ‘drive’ through your heels. Maintain a ‘long’, straight spine throughout the lift, using only the muscles in your legs and buttocks to lift the object. Do not twist your body if you need to move the object. Take small steps with your feet turning until you are in the correct position. To change direction, shift your foot position and turn your entire body. When placing the load in the appropriate spot, again bend at the knees, keep your spine straight and break at the hips using only your leg muscles and buttock to lower the load into place. Never lift anything that is too heavy and don’t over exert yourself. If you think the load may be too much for you, ask for help. If you are required to lift many loads, then take some breaks in between. Where possible, try to reduce the weight of the object being lifted by performing several smaller safe lifts, rather than one heavy unsafe lift. Participating in regular exercise, stretching and core muscle strengthening are good ways to decrease your risk of a back injury from lifting. When lifting think how an Olympic weight-lifter or small child lifts. Essentially they keep a straight back and use their buttock muscles by bending at the hips pushing the buttocks back during the lift. The buttock muscles are the strongest muscles in the body and must be engaged for proper lifting. 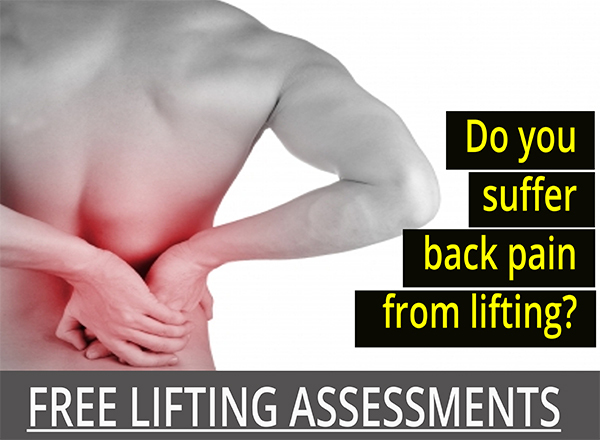 Back injuries have the potential to become chronic problems. If you experience back pain from lifting it is essential to obtain an early diagnosis from a physiotherapist at Sport & Spinal Physiotherapy to ensure you make the quickest recovery possible. Good advice here. Another safe lifting tip is to strenghten your core muscles and make sure you engage them as you lift to support and stabilise your spine.